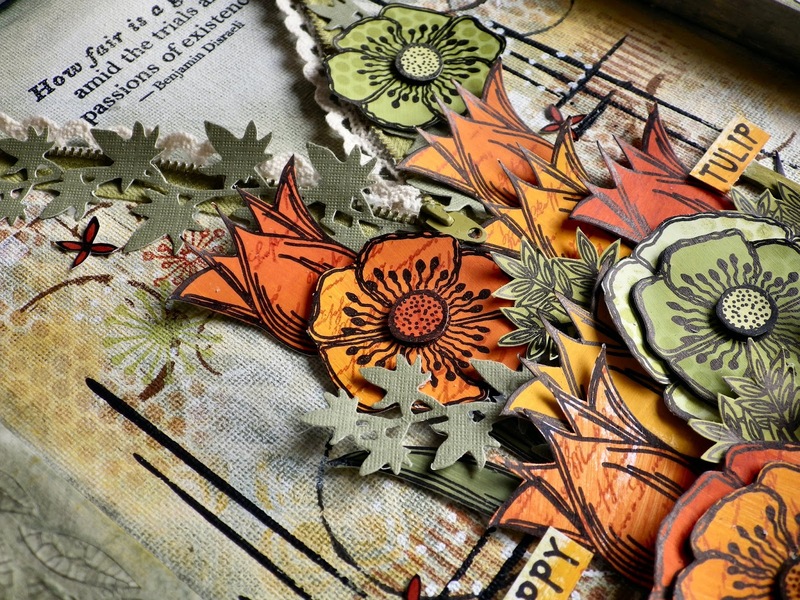 Stamping Sue Style: 3D and a hop ! A truly fantastic piece, so cleverly put together!! Congratulations on your 6 months mile stone, unbelievable it's been that long already.... I hope you are ok? A great shame the workshop s not taking place, this project is so inspirational! 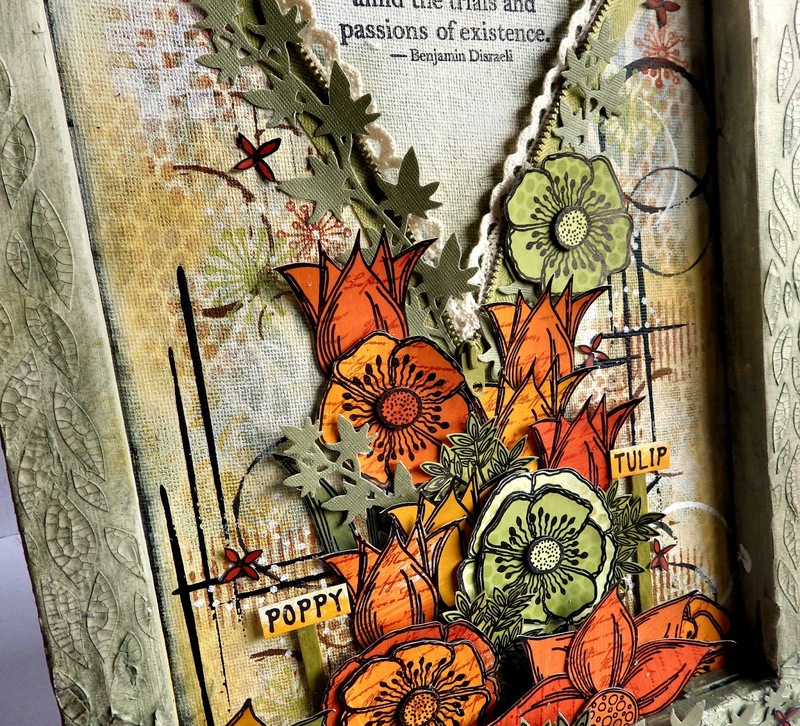 This is a gorgeous project Sue, this would have been an exciting piece to make at a workshop. A piece of art. Love the reverse canvas with the different elements. Such a fantastic project, truly inspired! Hello Sue !! loved this reserve canvas and the clever use of the zip !! I loved this when you showed a peek to advertise the class, so it's great to see it in more detail - absolutely stunning work. Sorry to hear the class isn't going ahead at this point, and I do hope you're okay. Stunning piece! Love the crackle effect and the overflowing flowers. What a fun hop! Love the projects and 3d. The hop and treasure (letter) hunt was so fun tool. Loved it. Good luck to all. 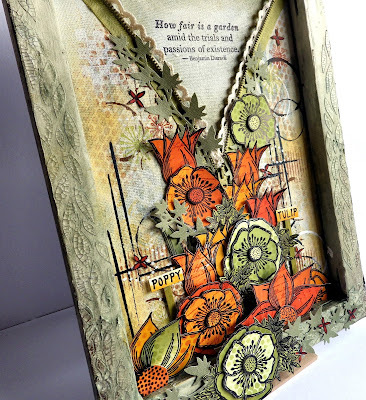 Your 3d piece is absolutely stunning!! 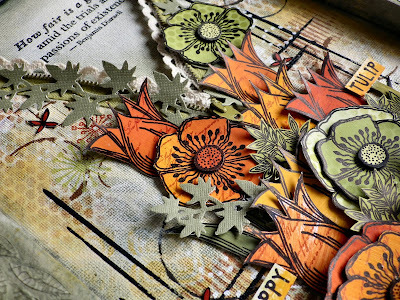 Gorgeous flowers so reminiscent of the fall here- and the elements-my favorite part is the opening look ! Beautifully done! Fabulous piece Sue and a shame the workshop has been cancelled but I'll look forward to the reschedule. I hope you're ok too! Love your canvas! the sage is just yummy with the crackle and you've chosen a perfect quote to go with those lovely flowers.. And your background is gorgeous! A lovely piece of art! I do hope all is well. This is a stunner. 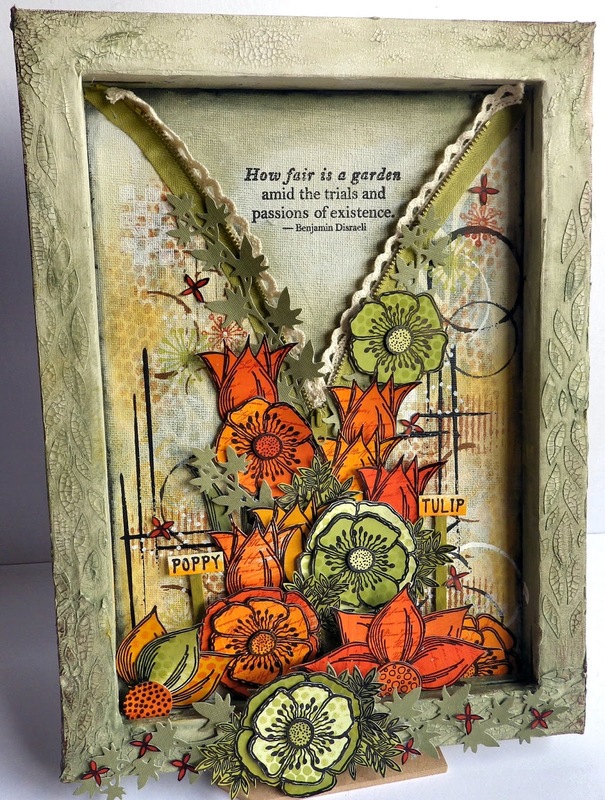 Love all those tumbling flowers and the use of the zip looks amazing! Gorgeous canvas Sue, love the 3D effect.